Kapalbhati Pranayama is a breathing technique that exerts profound physiological effects on cardiovascular, and mind also. Kapalbhati Pranayama needs to breathe coordination at a higher rate and thence, a higher rate of metabolism muscle activity, that made strengthening of the metabolism muscles and resulted in improvement of respiratory organ operate. In Kapalbhati Pranayama we exhale with stroke. Most important point to remember is that when you are exhaling while doing Kapalbhati Pranayama assume that all the mental and physical disorder are kicked out of your body and mind also. Keep assuming that feeling in every stroke of exhaling. It is simple and easy to do Pranayam but having a powerful effect. It is a practice same as Bhastrika, which a technique of Pranayama, except that exhalation, is active whereas inhalation is passive, that is the opposite of normal breathing. It follows the same as Jala neti. This process involves sniffing water through the nostrils and letting it flow down into the mouth and then spitting it out. Can be thought of the reverse of Vyutkrama Kapal/Bhati, within which water is taken through the mouth so expelled through the nose. Due to the method, the organs below the skull (mainly the brain) and also the little brain are influenced in a very smart manner. Therefore the word is employed in this means. It Generates heat in the system to help dissolve toxins and waste matter. Improves digestion, Improves the function of kidneys and liver. Daily practice of Kapalbhati can cure all general intestinal problems. It helps reduce stress in the eyes, thus curing dark circles around the eyes. Improves the blood circulation problem in whole body parts. It also helps in regaining poise in emotions. Kapalbhati triggers your abdominal region, so it’s beneficial for diabetic patients. It calms your mind and rejuvenates your digestion system. It also helps in the respiratory-related problem. Divide your Kapalbhati season into four Parts, which are given below. The first part is – sitting correctly. Breathe in well (Inhale)Inhale Well. Breathe out rapidly with little force. Last part is when you finished your Kapalbhati season relax for some time. If you have acid or heat-related gastric problems, such as ulcers you should use caution with Kapalbhati Pranayama. Avoid Kapalbhati in case of high blood pressure, heart disease, stroke or epilepsy. Sometimes it causes dizziness and headache but not to worry, if you feel these symptoms avoid Kapalbhati for some time. Or you may feel like vomiting, dry mouth. Anulom Vilom Pranayama (अनुलोम प्राणायाम) is one of several Pranayama or breathing exercise used in the practice of Hatha yoga. At first, you have to understand the meaning of Anuloma and Viloma.In this, the first word Anu roughly translates as with and word Loma means hair implying “with the grain” or “natural”. And the meaning of Viloma is “against the grain.” Anuloma is opposite to Viloma. It is very helpful in respiratory-related diseases like Asthma. Anulom Vilom Pranayama is the best way of balancing the Tri dosas in our body. Our body gets ill when Tri dosas are not in balancing position. Vaat, Pitta, Kaffa knows as Tri dosas, Tri means “three” and the meaning of dosas is impurities. All these are present in the body of every people. If one of them is an imbalance that we suffer from different diseases. All three are the cause of all diseases. So it’s important to balance these tri dosas. If you really want to balance these Tri dosas than do Anulom Vilom pranayama regularly. It is the simplest and best way for this. Anulom Vilom Pranayama is very easy to do, first of all, close your eyes and sit in Padmasana and rest your hands on your knees. When you exhale use your middle finger to close your left nostril then inhale with our right nostril and remove thumb from the right nostril then exhale. Repeat this process for 5 minutes. Be focused and concentrate on your breathing. Helps to cure mental problems like Depression, Anxiety, stress, Tension etc. Most beneficial for breathing related problems like (Bronchitis, Asthma) etc. Best breathing technique for boosting your memory (Makes your brain sharper). Improves your immune system, so it cures general issues like a cough & cold. Without any doubt, Anulom Vilom is the most suitable Pranayama for all. 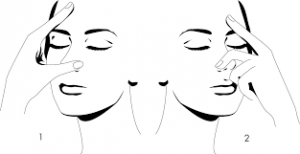 Alternate nostril breathing is an ideal breathing technique for maintaining your heart healthy. Anulom Vilom Pranayama is the ideal Pranayama for a healthy heart. 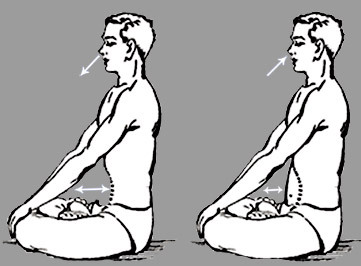 Anulom Vilom Pranayama is also known as Nadi Shodhana pranayama (alternate nostril breathing). Nadi Shodhana is the next level of Anulom Vilom. In Anulom Vilom Pranayama we inhale and exhale, but in Nadi Shodhana pranayama we hold (kumbhaka or retention) our breath for a second or minute than exhale. Sit in the Padmasana (lotus pose) close your eyes. Your spine should be erect. Then inhale through your left nostril, while inhaling close your right nostril with your right thumb. When you feel your lungs are full of air then close left nostril by the ring and middle finger, and your right nostril should also close. 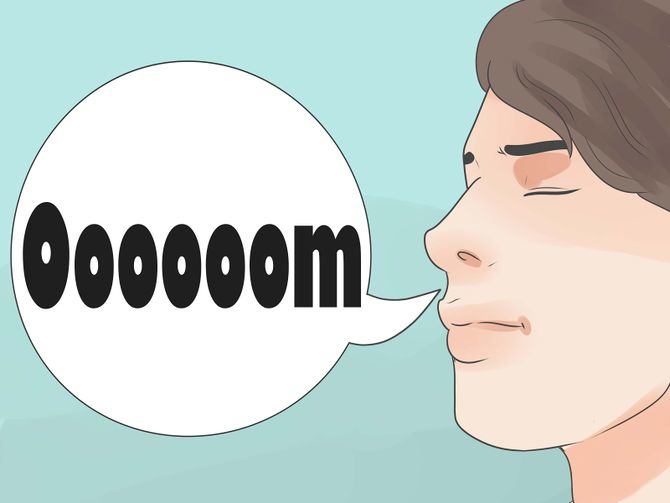 Hold the breath for a minute or as much as you can, then exhale through the right nostril. 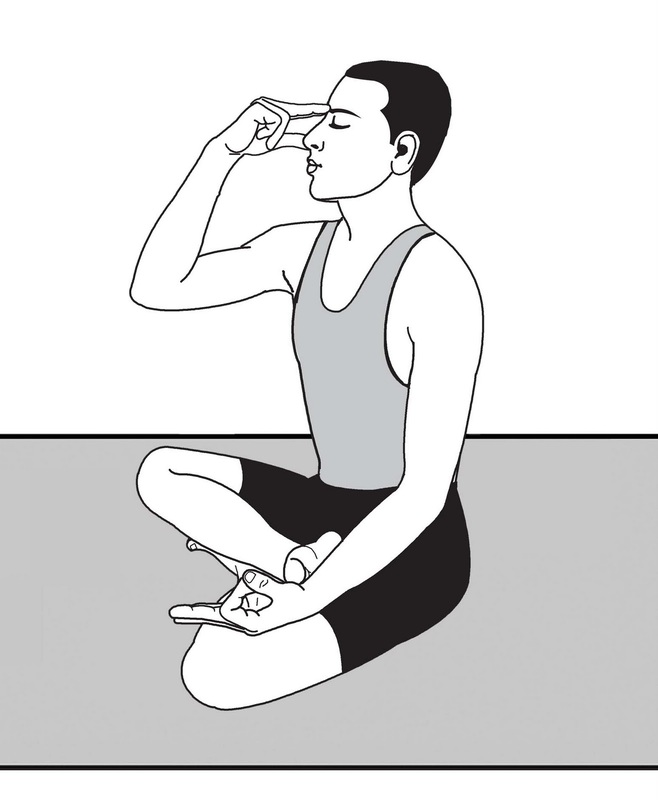 After that inhale through the right nostril and close the left nostril by your left thumb, as you inhale completely just close your right nostril with thumb and left nostril by the ring and middle finger. Hold your breath (retention) for a minute than exhale by your left nostril. Once a cycle is complete, repeat the cycle for 3 or five minutes. The benefits of Nadi Shodhana Pranayama is Same as the benefits of Anulom Vilom Pranayama. Don’t get confused in Anulom Vilom and Nadi Shodhana Pranayama. Both are same but in Nadi Shodhana we hold our breath that’s it. Another name of Anulom Vilom Pranayama is Nadi Shodhana. First of all, you have to practice Anulom Vilom Pranayama when you are perfect then you’ll go for next level of Anulom Vilom Pranayama (Nadi Shodhana). Nadi Shodhana Pranayama is best for balancing the level of Tri – Dosas in our body. Try to Perform Pranayama in the morning with empty stomach. If you haven’t enough time in the morning then do it in the evening but keep several hours gap in between your meals and Pranayama. Throughout the practice, assume that you all your impurities is come out with exhale. With every inhalation wonder that your mind is getting some positivity and your body is more energetic than before. When you are trying to do Nadi Shodhana note that inhalation, retention, and exhalation are all in equal duration which is called Sama vrtti and this is for beginners. People who are more advanced may try Visama vrtti or uneven breath, by using the ratio such as 1:4:2. (1 beat inhale, 4 beat retention, and a 2 beat exhale.